Are you a renter weighed down by taxes? This calculator can demonstrate what you could be saving in taxes when you decide to buy instead of rent. First enter a value of the home you wish to buy, a loan amount, an interest rate attached to that loan, and so on. Then enter your tax information, including your filing status (married or single), your federal tax rate, and your state tax rate. Follow this with prospective real estate taxes, as well as medical and dental expenses, charitable donations, thefts and losses, and job expenses. Press CALCULATE and you’ll get a breakdown of the costs associated with your home purchase. More interesting, however, will be the amount of money you could be saving with the tax deductions you’ll receive as a homeowner. These savings will be itemized in your results. With interests rates still at record lows, many people are becoming first-time home buyers. After all, the cost of owning a home is now often less than renting one. Not only do homeowners save money while paying towards home ownership, but home ownership comes with very attractive perks, such as significant tax breaks when itemizing deductions. Before we dive into the tax breaks available, it is important to know you will need to file a 1040 or 1040A when filing your federal taxes to take advantage of the tax breaks. That is the only way that you have a choice to itemize or take a standard deduction. If you prepare your own taxes, most tax software programs will compare your tax savings by computing both the standard deduction and itemized deductions through a series of simple questions. Once finished, the program will recommend your best course of action. When you first buy a home, the itemized deduction is almost always your best route. If you have been in your home for a while, or you have a large family, oftentimes the standard deduction will give more tax breaks than itemizing all your home tax deductions. Here are just some of the tax breaks that you can take advantage of when owning your own home. If your home is valued under one million dollars, which is the case for most of us, 100 percent of your mortgage interest is deductible. When you first purchase a home, most of the money paid to the bank goes towards interest. On a 30-year mortgage of $250,000 at an interest rate of 4 percent, you can expect to pay $9,905.19 towards interest in the first calendar year of the loan. You can get an idea of how that deduction compares to the standard deduction in the table below. Depending on where you fall on the tax table, your savings could exceed the standard deduction by claiming interest alone. However, the tax deductions for homeowners do not end there. Points are usually a one-time deduction, and not everyone pays points on a loan. Points can be paid on either a first mortgage or a refinance, but first mortgages see the greatest tax advantages. They tend to be more popular when interest rates are high because they give you the ability to buy down your interest rate. Each point costs one percent of the mortgage value. That means on a $250,000 loan, two points would cost $5,000. The $5,000 is a tax deduction on a first mortgage. If you are in the first year of your mortgage and pay points, the tax deduction will be $14,905.19 for the tax year. This calculation is based on adding the $9,905.19 paid in interest to the $5,000 in points. Points do not take full percentages off your loan. Two points may only equal a quarter percent credit; however, they are worth it if you have the cash up front to pay the points and plan on staying in your home for more than 10 years. Points will reduce your monthly payments a small amount, but the real savings comes in interest paid over a long period of time. There are different tax rules for a refinance or a line of equity loan. Tax deductions are significantly less in those cases as the point credit is spread out over the life of the loan instead of in one lump sum as with a first mortgage. Part of home ownership is paying real property tax on your asset. Real estate taxes are deductible in most cases. Requirements for the deduction include taxes paid based on uniform calculations for all property in the jurisdiction, and tax amounts are based on an assessed value. Only local property taxes may be deducted. 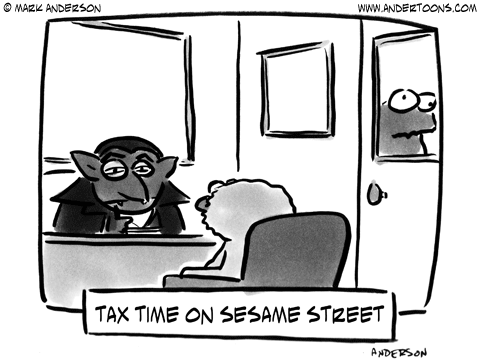 You may not deduct extra tax assessments for streets, sidewalks, or sewers. The amount paid for real estate taxes across the United States varies. Depending on where you live and the assessed value of your home, the amount deductible for itemization could be substantial. Once again, this is not assessed on all mortgage loans. Normally it only applies to loans where less than 20 percent was put down on the purchase, or you purchased your home through a federal loan such as an FHA loan. VA loans do not have PMI. PMI is required by lenders to protect them in the event that you default on the loan. Once you have PMI on a loan, it is hard to get to the point where it "drops off." Typically this is when your mortgage is paid down enough to move under the 20 percent loan-to-value threshold. It is important to note that you will always have mortgage insurance on an FHA loan. Because these are considered higher-risk loans, the government requires PMI for the life of the loan. The good news about PMI is that the amount you pay is normally tax-deductible. The average PMI payment is around $40 per month. That means that 12 months of PMI payments average a deduction of $480 a year. The tax deduction for PMI continues as long as you are paying mortgage insurance as part of your loan payment. The mortgage company or bank no longer puts this amount on their 1098 Mortgage Interest Statement. You may now obtain a copy of PMI paid by requesting a copy of your escrow statement. The four deductions listed above are the most frequently used deductions. However, there are other deductions that you may qualify to receive. It is a good idea to look at your complete tax picture with a professional when itemizing, so you do not miss out on any advantages or tax incentives for homeowners. Also, rules governing itemized tax deductions consistently change. If itemizing your deductions is your best option this year, it may not be in years to come. It's important to keep up with tax changes that pertain to home ownership so that you may always take advantage of what's available.